Isn’t this outfit super cute? Not to mention the elephant on the wall. How do you like those knee boots I just purchased? They give that ‘’something’’ to the look, right? It is this time of the year when everyone is focused on purchasing boots, sweaters, coats and basically everything that will make us look chic and keep us warm in the cold winter. The over the knee boots add a preppy, polished element to any outfit I wear them with, and they are so easy to throw on. I always had long boots but never over the knee but this year I couldn’t resist. You will see me style them with skinny jeans and short dresses in the next outfits I have prepared for you. If you are interested in buying some,you can find similar boots here on misspap.co.uk, they have lots of models and at reasonable prices. Looking through my winter wardrobe from last year, I realise my style has changed a lot. I don’t love many of the items I own and this year I decided If I buy new clothes I will invest more and get quality instead of quantity. For this outfit, I used the same sweater I had in my previous post ‘’sweater layered’’ because it’s just feel so cosy and fit perfectly with the skirt. The second look here is to die for! 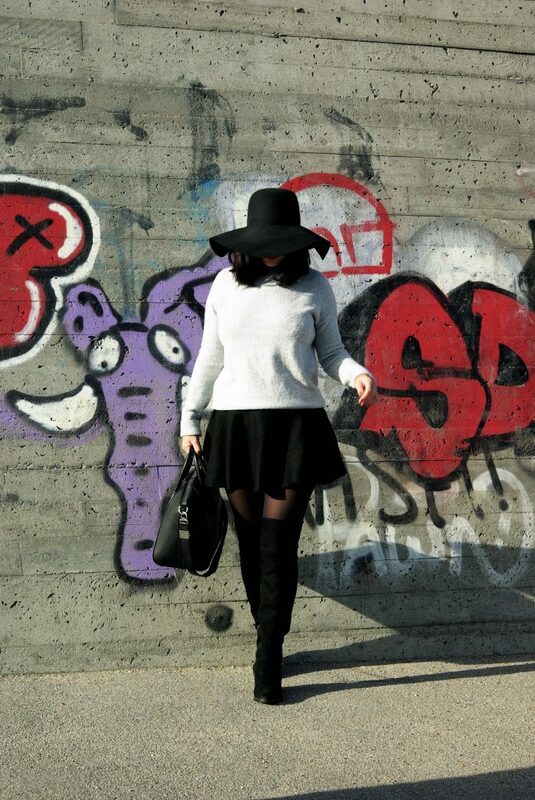 My Over the knee boots are from River Island, Sweater and hat from & Other stories, skirt from http://www.misspap.co.uk. P.S. If you liked my blog please don’t forget to follow me on Blogvin , pinterest and on my new Instagram account.